We conducted this study to examine life-course body size and physical activity in relation to total and cause-specific mortality, which has not previously been studied in the low and middle-income countries in Asia. The Golestan Cohort Study is a population-based cohort in northeastern Iran in which 50,045 people above the age of 40 have been followed since 2004. Participants were shown a validated pictogram to assess body size at ages 15, 30, and the time of recruitment. Information on occupational physical activity at these ages was also collected. Subjects were followed up annually, and cause of death was determined. Cox regression models were adjusted for age at cohort start, smoking, socioeconomic status, ethnicity, place of residence, education, and opium use. Models for body size were also adjusted for physical activity at the same age, and vice versa. During a total of 252,740 person-years of follow-up (mean follow-up duration 5.1 ± 1.3 years) through December 2011, 2,529 of the cohort participants died. Larger body sizes at ages 15 or 30 in both sexes were associated with increased overall mortality. Cancer mortality was more strongly associated with adolescent obesity, and cardiovascular mortality with early adulthood body size. Weight gain between these ages was associated with cardiovascular mortality. 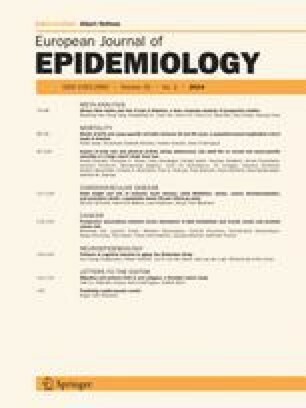 Obese adolescents who lost weight still had increased mortality from all medical causes in both sexes. Physical activity during adolescence and early adulthood had no association with mortality, but at cohort baseline higher levels of activity were associated with reduced mortality. Mortality in this Middle-Eastern population was associated with obesity both during adolescence and early adult life. The online version of this article (doi: 10.1007/s10654-014-9883-6) contains supplementary material, which is available to authorized users. This work was supported in part by the intramural research program of the Division of Cancer Epidemiology and Genetics, National Cancer Institute; the Digestive Disease Research Center of Tehran University of Medical Sciences [Grant No. 82-603]; and by the International Agency for Research on Cancer.